Minister Lynne Brown said she was “thrilled” to hear her Public Enterprises Department – custodian of State-owned enterprises and overseer of their corporate and financial responsibility – had been given a clean audit for the 2016/17 financial year. In a statement she indicated the Department of Public Enterprises (DPE) spent almost 95% of its budget, achieved 18 of 22 set targets for the year and paid service providers within an average of 13 days. “We were thrilled to receive the Auditor-General’s positive report. Our challenge is to inculcate the principles of good governance practised in the Department across our state-owned companies,” Brown said. “The Department should complete a re-alignment exercise in this financial year that will lead to the significant strengthening of its oversight capacity. The DPE spent 94.7% of its budget (R253.78m of R267.98m) with the underspend of 5.3% due to vacancies resulting from the realignment of the organisational structure. Achieving 18 of 22 set tasks for the year equated to an 82% success rate. 13 days to pay services providers. “Small, medium and micro enterprises (SMMEs) are critical to the economy and the Department is continuously looking at ways to ensure that payments are made timeously, without threatening the efficiency of operations,” Minister Brown said. Defence and technology conglomerate Denel is one of the State-owned entities Minister Brown is responsible for. At the end of August when releasing its financial performance for the 2017/18 financial year, Denel said the drop in its order book rom more than R30 billion down to R18 billion was a cause for concern. Other State-owned entities Brown’s department has control over, on behalf of government, are SA Express, Eskom, Transet, Safcol and Alexkor. 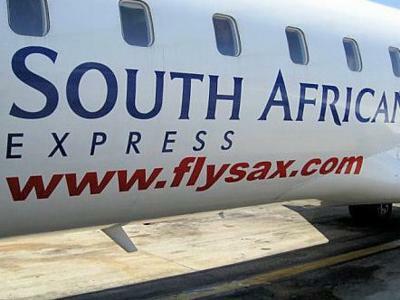 The national airline was also a responsibility until control of SAA was shifted to National Treasury.